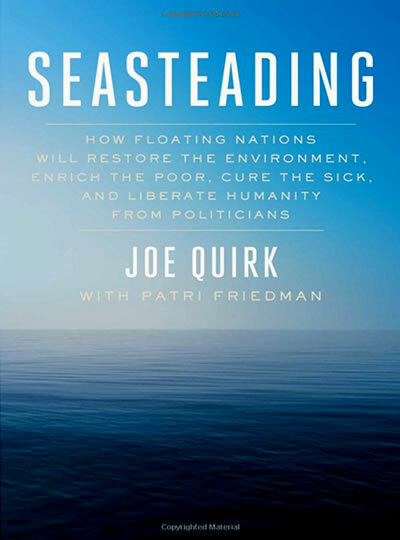 Seasteading is building floating societies with significant political autonomy. Nearly half the world’s surface is unclaimed by any nation-state, and many coastal nations can legislate seasteads in their territorial waters. Floating societies will provide the means for rapid innovation in voluntary governance and reverse environmental damage to our oceans. Seasteads will unleash the Blue Economy to create jobs and foster entrepreneurship. French Polynesia boldy led the world into the Seasteading Century when their leaders signed a historic agreement with our Institute to explore the possibility for a SeaZone, a floating legal entity designed to maximize personal and economic freedom, to empower island communities to adapt to sea level changes on their own initiative. We want free seas. There are as many reasons to seastead as there are problems to solve profitably. Eight “aquapreneurs” plan to enrich the poor, cure the sick, feed the hungry, clean the atmosphere, live in balance with nature, power the world, and live in peace. The most complete account of the cutting-edge research and the visionaries making it happen. Your donations make seasteads happen. What about tsunamis? Can I afford it? Who will govern? We answer your questions with short videos. Supported by over a thousand donors, we perform expert-led research, work to catalyze a global movement, and negotiate with coastal countries who are interested in passing legislation for SeaZones in their territorial waters. Learn about our strategic partners, Blue Frontiers, the first seasteading company, or win $100,000 at Blue Frontiers Global. Interested in Living on a Seastead?